(NaturalNews) California Sen. Richard Pan, who spearheaded the SB 277 vaccine mandate in California that will damage countless children from vaccine adverse events, was caught on video fleeing VAXXED documentary filmmakers. 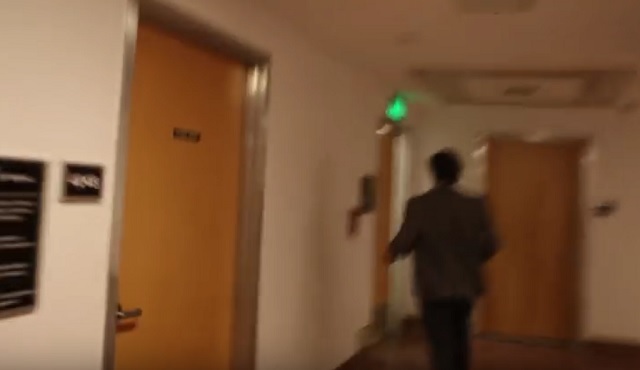 As revealed in the video below, VAXXED filmmakers Del Bigtree and Andrew Wakefield visited Sen. Pan's office in the hopes of opening a discussion with him about vaccine safety and the fundamental human rights of medical choice. First, Sen. Pan's staff lied to the visitors, falsely telling them Pan wasn't there. That's when he tried to sneak out a back door and flee the scene. Now we see the true colors of Sen. Richard Pan, a coward and medical child molester who talks a big game when he's pushing medical interventions that harm children. But when he's faced with people who want to discuss the real issues, he flees down a hallway and into a secure area, protected by men with guns and badges. Sen. Richard Pan, like all vaccine fanatics, routinely refuse to answer to the people whose children he condemns to being maimed and even killed by toxic vaccine ingredients that are forced upon them. He has no problem violating the law to pass Big Pharma's vaccine agenda, but refuses to honor the greater laws of human rights and medical choice. Sen. Pan, a proven liar about vaccines, mirrors the total lack of ethics found among all the other vaccine pushers, including the fugitive from justice Dr. Poul Thorsen, the psychopathic info-terrorist Dr. David Gorski, and CDC sellouts who violate children for profit so they can land lucrative jobs with the vaccine industry. What all these vaccine pushing miscreants and fraud artists have in common is a total abandonment of medical ethics and human rights. They believe the state shall use coercion, the threat of force and the threat of kidnapping children to force parents into subjecting their own children to toxic, sometimes deadly medical interventions that irrefutably harm and kill a growing number of children. Now that vaccines are mandatory in California, their next project will be to legislate mandatory organ harvesting from everyone, totally against their will. People like Sen. Richard Pan are, in effect, baby killers... and they carry so much shame that they literally flee the scene like a common criminal when documentary filmmakers seek to ask them some simple questions. 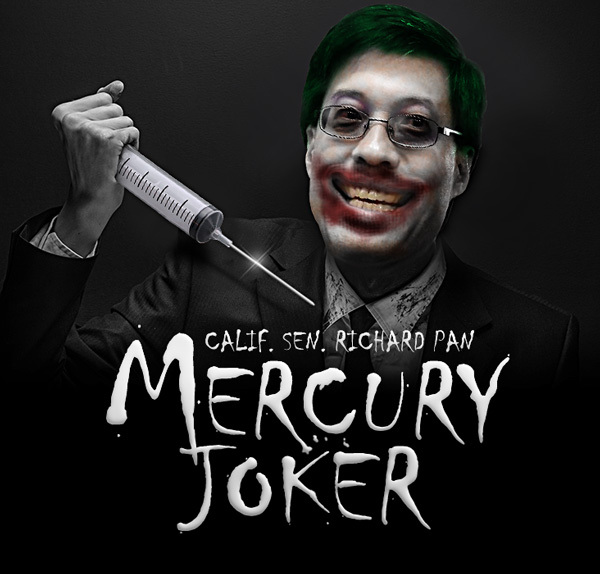 Watch Sen. Richard Pan's behavior to learn how medical criminals really operate. The man is a shameless destroyer of innocent lives, and he flees to the darkness of a government basement like a human cockroach scurrying away from the light. We expected exactly this from you, Sen. Richard Pan. You are a disgrace to humanity and a medical molester of children. Scurry while you can... the light of transparency is now shining upon you and revealing the truth about who you really are. California Constitution, Article 1, Section 1, states: ALL PEOPLE ARE BY NATURE FREE AND INDEPENDENT AND HAVE INALIENABLE RIGHTS. AMONG THESE ARE ENJOYING AND DEFENDING LIFE AND LIBERTY, ACQUIRING, POSSESSING, AND PROTECTING PROPERTY, AND PURSUING AND OBTAINING SAFETY, HAPPINESS, AND PRIVACY. • Aggressively pushed California's SB 277 radical vaccine mandate which eliminates vaccines exemptions and obliterates medical choice. • Is a believer in "medical extremism" that invokes highly unethical, government-forced interventions that violate established medical ethics and fundamental human rights. Essentially, Richard Pan believe in "gunpoint medicine." • Violates the American Medical Association's Code of Medical Ethics which demands informed consent and a patient's choice on all medical interventions. • Strips away from mothers and families their right to decide on medical interventions for their own children. Essentially hands over parental rights to the government, turning moms and dads into surrogate placeholders for the state. • Blatantly lies about the issue of mercury in vaccines, falsely claiming mercury has been removed from all vaccines given to children. In fact, flu shots given to children and pregnant women are still made with mercury. • Betrayed the very people who put him into office. After they voted him into power by exercising their free choice, he used that power to deny them medical choice. • Falsely claims vaccines are completely safe, even when vaccines routinely cause brain damage, autism, comas, seizures and even death. Read the top 10 lies about SB 277 and vaccines here. • Denies the children of California their right to a public education unless their parents surrender to the demands of the corrupt, criminally-run vaccine industry. This harkens back to the slave plantation days when slave owners barred their human "property" from learning how to read. • Holds a personal philosophy of medical tyranny that's perfectly aligned with the murderous regime of North Korea. If Richard Pan moved to North Korea, he'd probably be made the regime's Surgeon General. • Is an obvious promoter of scientific totalitarianism which says that corporate-run science has the power to demand absolute obedience to government-enforced medical mandates. • Violated California state law by interfering with a citizens' referendum that would nullify SB 277. • Serves as a puppet of the pharmaceutical industry, an industry steeped in admitted felony crimes, bribery, price fixing, experimentation on humans and other large-scale crimes. Richard Pan receives his "marching orders" from this criminal cabal (in addition to campaign cash).